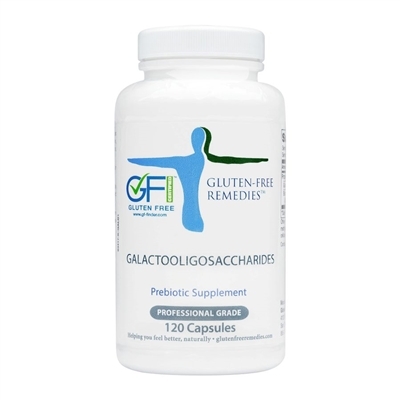 Galactooligosaccharies (GOS) is a prebiotic fiber supplement that combines galactooligosaccharides together with beta-glucan to provide targeted support for healthy immune responses and gastrointestinal function. Prebiotics are a type of soluble dietary fiber with the ability to selectively support the growth and activity of health-promoting bacteria normally found in the gut. Prebiotics can also support the growth and activity of “probiotics” such as Lactobacilli or Bifidobacteria that are often consumed in dietary supplements or foods such as yogurt. Prebiotics are increasingly recognized to play numerous other physiologic roles including the ability to optimize immune function, facilitate bowel regularity, improve the integrity of the gut barrier, enhance mineral absorption, favorably modulate blood lipids, and defend against harmful disease-causing bacteria. Added benefits of prebiotics on blood glucose and insulin levels have also been reported in some studies. Promote a healthy balance of intestinal microflora: A diverse population of “friendly” bacteria colonizes the gastrointestinal tract and exerts a key role in health and well-being. By serving as a food and energy source for beneficial bacteria, prebiotics help stimulate the growth and activity of a healthy intestinal microflora. GOS provides a rich source of galactooligosaccharides, a type of prebiotic that naturally occurs in human and cow’s milk that stimulates the growth of healthful Bifidobacterium and Lactobacillus species in the gut. Support healthy immune responses: By promoting a healthy balance of intestinal microflora, prebiotics support the development and maintenance of a healthy immune system. 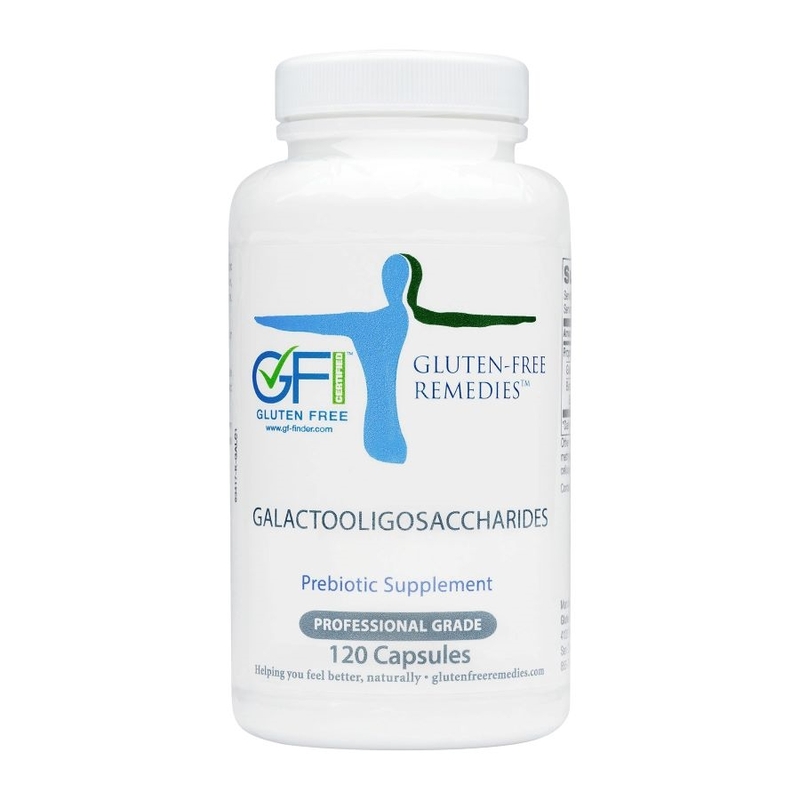 Galacto-oligosaccharides and beta-glucan, a soluble fiber with prebiotic activities, have also been shown to have additional immune supportive properties. Both ingredients help regulate a balance between Th1 and Th2 immune responses that help protect the body from harmful pathogens and promote immune tolerance to harmless dietary and environmental allergens. 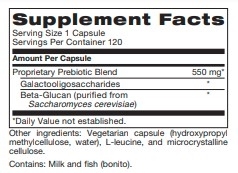 Protect against intestinal pathogens: Healthful intestinal bacteria ferment prebiotics, such as galactooligosaccharides into short-chain fatty acids. These short-chain fatty acids beneficially increase the intestinal acidity (lower pH), which creates an inhospitable environment for pathogen growth. Beta-glucan may also provide additional support by stimulating an immune response to a wide spectrum of pathogens, including fungal (Candida albicans), Gram-positive (Staphylococcus aureus), and Gram-negative (E. coli) microorganisms. GOS can be used by children or adults and may be particularly suitable for infants, the elderly or other persons who wish to support optimal immune function. GOS works synergistically with probiotics to restore and maintain a healthy, balanced gastrointestinal microflora. Unfortunatwly, this item was out of stock so I have to wait for it to be sent once it's back in. However, I have used this before upon recommendation of my physician and it works well and is a trustworthy product.